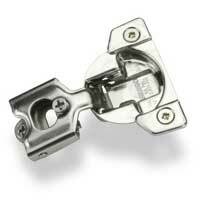 Q: How do I adjust the standard overlay hinge? 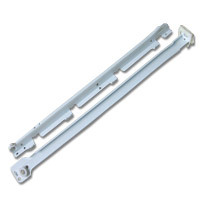 Q: How many hinges will be installed per door? 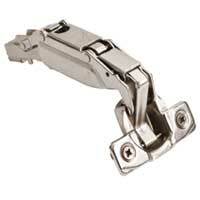 Q: How do I adjust the full overlay hinge? 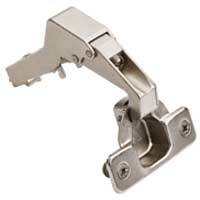 Q: How do I adjust the lazy susan door to cabinet hinge? 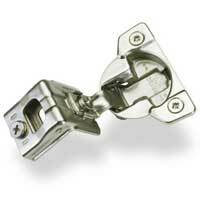 Q: How do I adjust the lazy susan door to door hinge? Q: What are the lazy susan tray dimensions? Q: How should I clean the lazy susan tray? 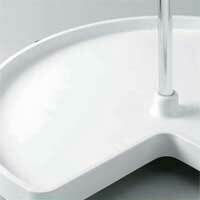 A: Your lazy susan trays are made from a Hi-Impact Polymer and may be cleaned using mild soap and water. Avoid scalding water and harsh abrasives. Allows for full extension of drawer. 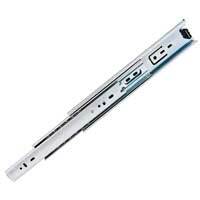 Includes soft close mechanism, prevents drawers from slamming shut. 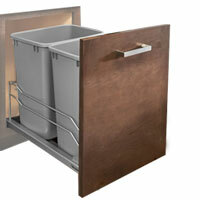 Q: How do I install a pre-assembled waste bin unit? Q: What are the detailed specifications of the waste bins? 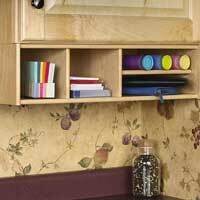 Q: How do I install the pull out storage cabinet unit? Q: How do I install the tilt-out sink trays? 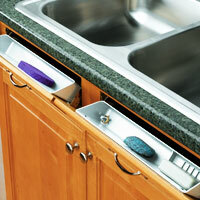 Q: How should I clean the tilt-out sink trays? A: Your new trays are made from a Hi-Impact Polymer and may be cleaned using mild soap and water. Avoid scalding water, harsh abrasives and dishwashers. 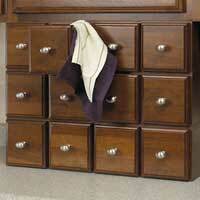 Q: What are the dimensions of the wall organizer unit? 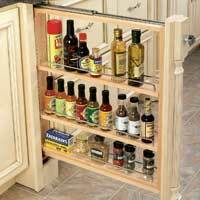 Q: What are the dimensions of the wall spice drawer unit? 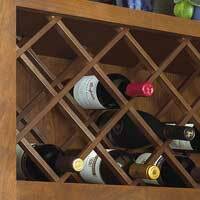 Q: What are the dimensions of the wine rack unit? Smart Corporation LLC neither expressly implies nor warranties environmental or structural conditions surrounding the installation of our cabinets. Smart Corporation LLC neither condones nor condemns conditions that differ from what we offer as a guide. All installations vary and as such, Smart Corporation LLC defers to those individual professionals or dealers on site. Smart Corporation LLC neither expresslyimplies nor warranties the installation of our cabinets. Smart Corporation LLC is an OEM Manufacturer of "stock" cabinetry as such installations should be consulted by professionals at your local Smart dealer.